June 21, 2016 June 21, 2016 - by Grimwald - 4 Comments. After my review of the Batman vs. Superman film, it’s time to take a look at the other superhero movie that seems to have defeated it in the box office, Captain America: Civil War. The Marvel Cinematic Universe went all the way with this production and brought in the greatest number of superheroes it possibly could with newcomers that include Spider-Man, Ant-Man and the Black Panther. Indeed, with such a large number of superheroes, it’s not at all surprising that some have taken to calling the film Avengers 2.5 what with the only people missing are the ever unhappy Incredible Hulk and the Mighty Thor who really needs to update his vocabulary and speech patterns. However, do note that unlike most superhero films we Filipinos are familiar with (especially with our brand of superheroes), Captain America: Civil War presents an altogether philosophical and emotional film along with its entertainment. That’s right, past all the special effects, the amazing and ever-familiar costumes of the heroes and, of course, the load after load of fan service from Chris Evans and Scarlett Johansson, Captain America: Civil War also manages to present some interesting concepts to its viewers. I suppose one reason it was so successful was because it was both mentally and emotionally stimulating to audiences. I will try not to spoil too much about the movie but the main antagonist of the film is none other than Zemo, who was based on the Captain America comic character Baron Zemo. However, the character received quite a bit of modification and it is apparent that the filmmakers decided to take a lot of liberties with the character. In the end, he came out as a very interesting antagonist because he is a clear departure from the likes of the Red Skull who was simply the epitome of evil. Zemo, as depicted in the film, was simply a human being pushed to the limits of his endurance which prompts him to do a good number of heinous acts throughout the film. While his circumstances do not excuse the atrocities he commits, he nonetheless comes out as a very human character and, in some instances even, seems almost admirable. 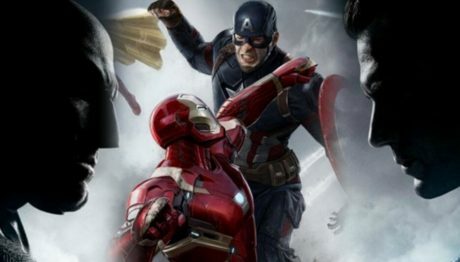 The main conflict of the film pits the supersoldier Captain America against the technological genius Iron Man in a battle of wits and their respective ideologies. Captain America simply wants to ensure freedom for all including, or especially, for superheroes while Iron Man only wants to ensure the safety of ordinary people by having all superheroes conform to a kind of registration act. Since I don’t want to spoil anything like I said, suffice to say that the film’s conflict is as much about two superheroes duking it out as it is about whether it personal freedom or public security should be a society’s largest concern. My only complaint about the film was that Falcon didn’t use real birds like he did in the comics and instead used robotic drones to do his bidding. I can almost relate to why Black Widow didn’t want to thank Redwing because the latter wasn’t even a real and living thing. Also, Falcon lacked the ability to talk to birds which I thought was letdown in and of itself. Next Article Are The Youth Still The Hope Of The Philippines? I found the reaction of most fb posters really sad because most were simply #teamcaptainamerica just because of chris evans’ pecks. They couldnt get past the eye candy and missed out on what made it a critically acclaimed film (which is saying something because opinion on comics civil war is highly polarized). loved the movie. one of the best this year. can’t wait for The Black Panther and Dr. Strange. Civil War or Avengers 2.5 is the best MCU. Of course I’m waiting for Cumberbatch movie Dr. Strange. I’m hoping Suicide Squad will do better than expected. For a hero is someone who is selfless. Think about it, friends. Superman, Luke Skywalker, and Captain America. They are helping others. They aren’t only thinking for themselves. They are reaching out beyond themselves.